January 21st : Actress Navya Nair gets married to Santhosh Menon. March 12th: The family Court grants divorce to director Selvaraghavan and actress Sonia Agarwal. April 8th: Actress Ramba gets married to Canada based business man Indiran. August 24th: Actor Prakash Raj gets married to Bollywood choreographer Pony Varma. 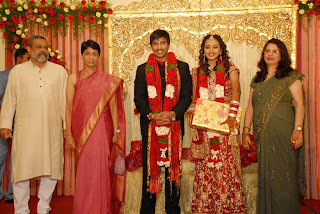 September 3rd: Rajnikanth's daughter and producer Soundarya Rajnikanth gets married to Aswin Kumar. December 10th: The family Court grants divorce to Aravind Sami and Gayathri.